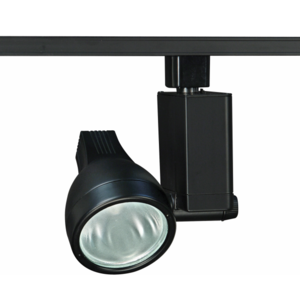 A low cost metal halide track lighting system can be purchased online to create a simple plug-in system. We’ve created a link page where you can get the parts for an 8′ wide track system with timer. This will produce 300 foot candles of energy efficient full spectrum lighting for a 20 square foot tall vertical garden. Here is a shopping list with shopping links to create an easy metal halide lighting solution. As a rule 1 light per 10 square feet. This will produce about 150 foot candles of light which is perfect for low light tropical plants. When growing herbs or other plants with higher light requirements, double this to determine what is best in your conditions. This fixture produces about 600 foot candles at 4 feet for each fixture with a spread of about 3 feet diameter and about 150 foot candles at 8 feet with a 2 foot diameter. Note the bulb must also be purchased, below. 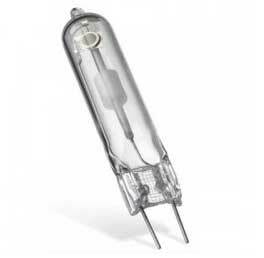 Bulbs loose power efficiency over time and should be replaced at least every 2 years.